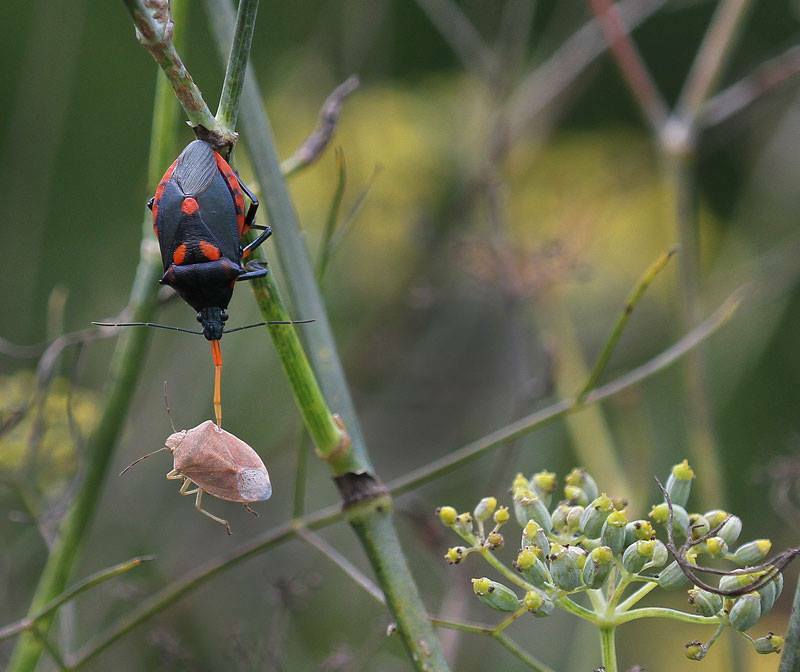 Florida predatory stink bug feeding on a brown stink bug. Photo by Debbie Roos. Too often growers, gardeners, and landscapers kill beneficial insects that they mistake for pests, or allow pest populations to build up because they think they are beneficial. Proper identification is the first step in developing an effective pest management plan. N.C. Cooperative Extension, Chatham County Center will offer a workshop entitled Beneficial Insects as Natural Enemies in the Farm, Garden, and Landscape as part of its Enhancing Sustainability Series on Thursday, September 6, 2018, from 6:00-8:00 p.m. at the Chatham County Agriculture & Conference Center in Pittsboro. Chatham County Agricultural Extension Agent Debbie Roos will teach participants how to identify the different life stages of the major beneficial insects found on farms, gardens, and landscapes and to understand the role they play as natural enemies of many of our pests. This workshop will provide 2 continuing certification credits for private and commercial pesticide applicators in classes L, N, O, D, and X. Advance registration is required for this workshop. The deadline to register is August 31. The cost of the workshop is $20 and includes a flash drive of resources and a hand lens. Call 919-542-8244 or email Debbie Roos if you have questions. 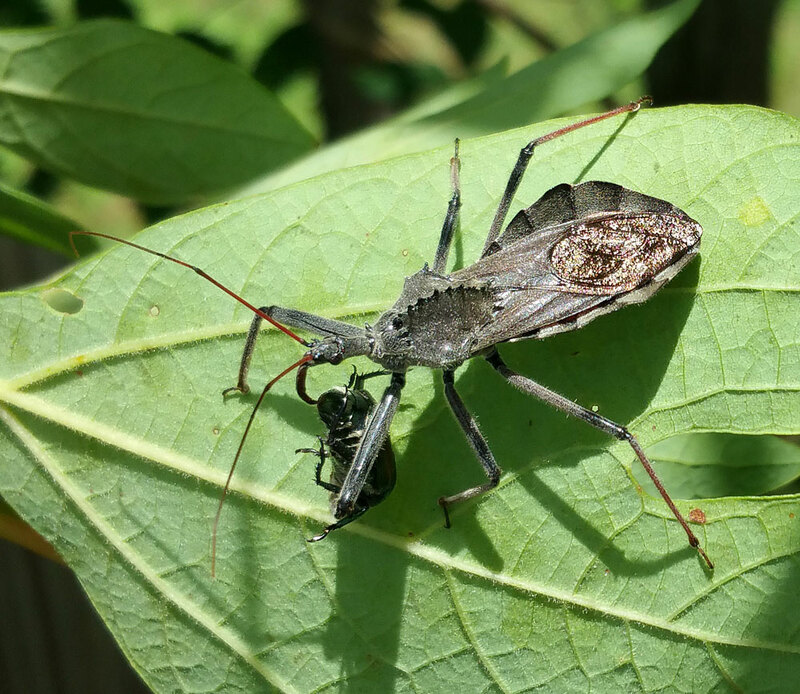 A wheel bug feeds on a Japanese beetle. Photo by Debbie Roos.